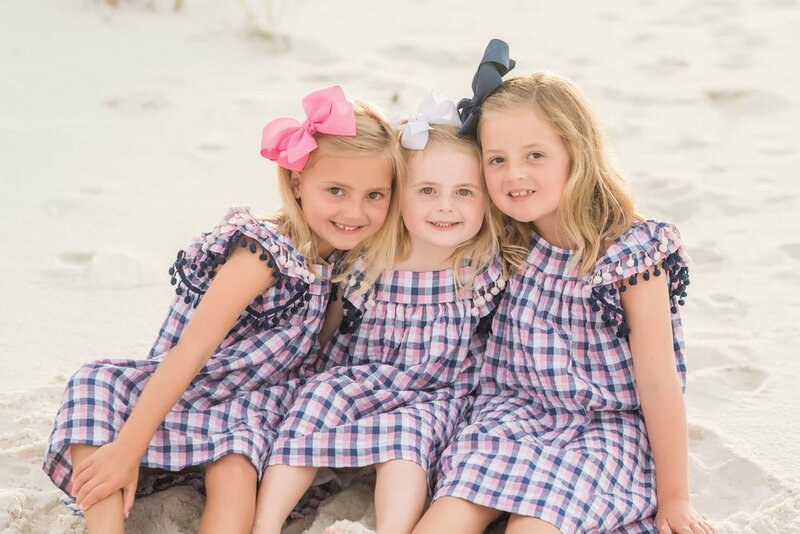 Just a few of Our favorite places around pensacola and navarre!! If you love history, nature, or just want a quiet beach, try heading to Fort Pickens, inside the Gulf Islands National Seashore. 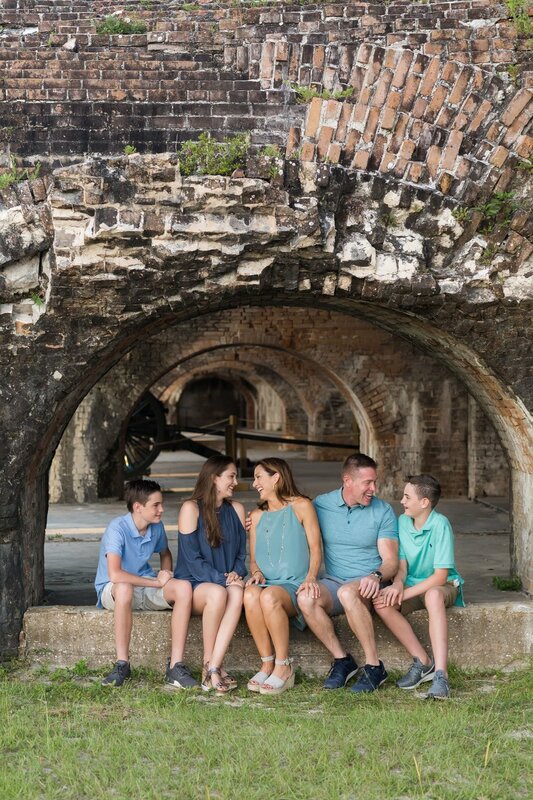 The old Civil War fort is open to the public, and you can wander the brick archways and battlements at your own pace (guided tours are also available). Within the park, there are campgrounds (both primitive and RV), and multiple beach access points that allow you to enjoy the white sands and crystal clear water without the crowds. Portofino Island is a top notch luxury resort located on the far eastern end of Pensacola Beach. You can rent one of their beautiful sky homes for your vacation, and take advantage of their multiple pools (indoor and outdoor), spa, restaurants and adventure water park. The resort is close enough to bike to Pensacola Beach’s shops and restaurants, but far enough from other hotels that your beach experience can be private and relaxing. Casino Beach is the “downtown” of Pensacola Beach. Spend your days (and evenings) lounging on the beach, fishing from the pier, and trying all the restaurants, from casual seafood joints to fine dining. The Boardwalk features a variety of shopping options, for souvenirs, clothing, or home decor! Navarre Beach is a quiet beach community about 20 minutes east of Pensacola Beach. It’s perfect for families or couples who want to spend their time swimming, sunning, and fishing. There are a number of condos and hotels right on the beach, or you can rent a beach house if you need more space. You can play beach volleyball and rent paddle boards at Juana’s Pagoda, an open-air restaurant and bar complex that is always full of locals and tourists alike. Florida’s Gulf coast is lined with a series of national parks, each protected from development and providing areas where you can enjoy natural and secluded beaches and dunes. Some areas offer camping, others have day use pavilions for rent, and others are just long stretches of beaches with nothing but sand and water. Take a drive through either of areas in Pensacola Beach (the developed beach is bookended by protected seashores on both the western and eastern ends), or bring a towel and park in one of the parking areas to spend the day exploring! WE SERVICE THE GULF COAST OF FLORIDA, AS FAR WEST AS FORT MORGAN, ALABAMA AND AS FAR EAST AS ROSEMARY BEACH, FLORIDA. 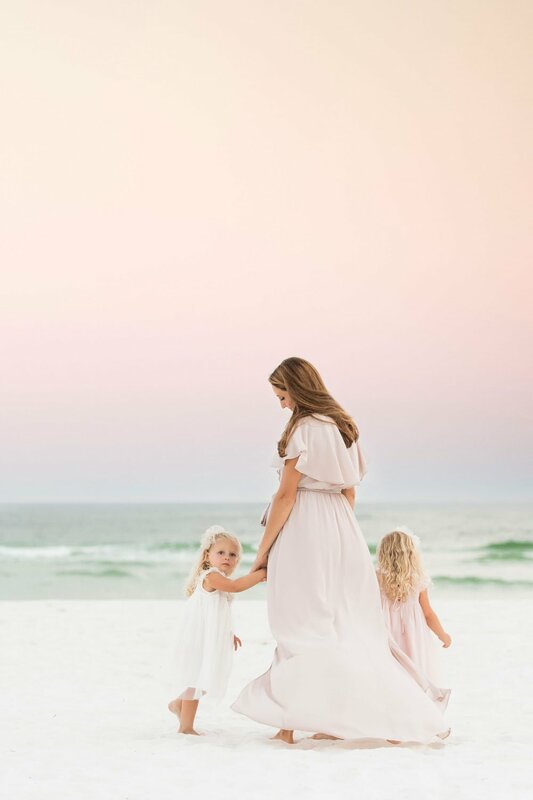 THIS INCLUDES DESTIN, 30A, SANTA ROSA BEACH, SEASIDE, WATERCOLOR, SEAGROVE, MIRAMAR BEACH, OKALOOSA ISLAND, FT. WALTON BEACH, NAVARRE, PENSACOLA BEACH, PERDIDO key, ORANGE BEACH, AND GULF SHORES. 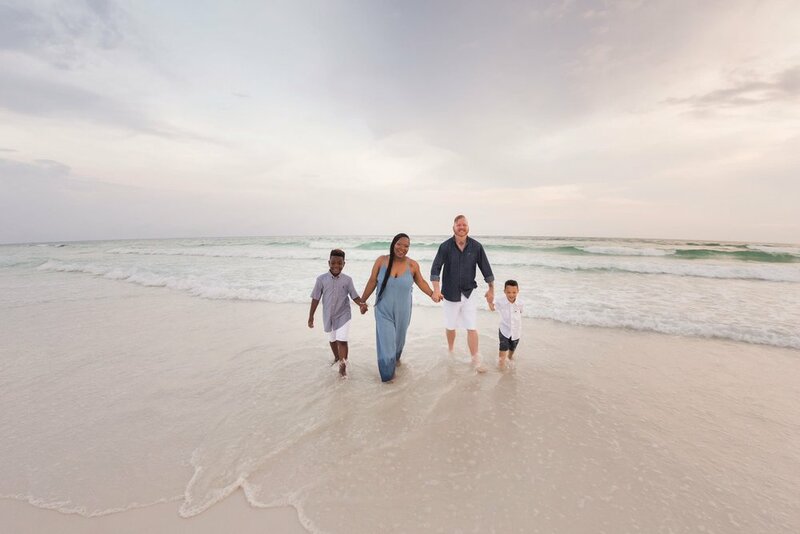 IN THE SUMMER, WE USUALLY SHOOT a family beach portrait SUNSET SESSION EVERY SINGLE DAY, AND THEY BOOK REALLY FAST. YOUR PHOTOGRAPHER WILL CONTACT YOU ABOUT A WEEK OUT FROM YOUR SESSION TO GO OVER ALL OF THE DETAILS. THEY CAN HELP YOU PICK CLOTHING, LOCATIONS, RESTAURANTS… WHATEVER YOU NEED (YOU WILL LOVE THEM)! 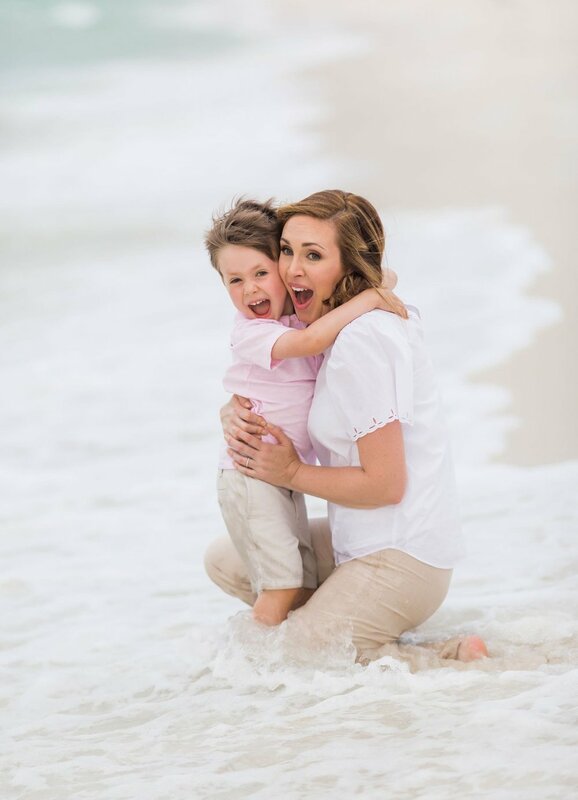 want to see more from the best pensacola beach photographer? CLICK ON ONE OF our RECENT Wave photo BlogS BELOW!